Cleophas Shimanyula owns a fleet of buses and matatus that ply Kakamega and Nairobi routes under the Western Cross Express Sacco. Operating under the Western Cross Express Sacco, he and two other investors are known for their affordable service and their buses go through the interior of Western Kenya. Mr Cleophas Shimanyula grew up with moderate education, but he has become a household name in Western Kenya’s public transport. The patron of Kakamega Home Boyz Football Club routinely rides in top-of-the range personal cars. But he initially ran matatu businesses between towns in western Kenya before he plunged into long-range transport services nearly a decade ago, branding his buses as Home Boyz. Operating under the Western Cross Express Sacco, he and two other investors are known for their affordable service and their buses go through the interior of Western Kenya where they pick up passengers and their luggage as they head to Nairobi. The official route is Kakamega-Kisumu-Nakuru-Nairobi. 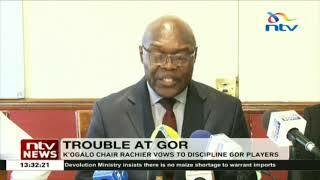 With no known offices, he placed agents across towns where passengers can buy tickets from as low as Sh500 to Nairobi when peers charge Sh1,000 and above. So popular are the buses that they are always full on either route. Yesterday, Mr Shimanyula, who arrived at the scene of the accident, was defending his driver whom he only identified as Lucas, a 72-year old veteran who joined the buses in 2010. “What has happened is quite unfortunate since we have operated for the last 16 years without our vehicles being involved in fatal accidents,” he told us. Mr Shimanyula, who drove to the scene after he got reports of the accident, told the Nation he was yet to know the fate of his driver and the conductor. The businessman owns a fleet of buses and matatus that ply Kakamega and Nairobi routes under the Western Cross Express Sacco. He has lately ventured into real estate in Kakamega town. He declined to explain why the bus was operating at night despite lacking a licence to operate during the period and asked to call back later, but had not done so by the time we went to press. In Kakamega, they have an office tucked in a building at Somkem Petrol Station along the Kakamega-Webuye road. The firm, however, does not keep records of passengers and tickets have no seat numbers which means you jump onto any seat once you buy a ticket. The buses also have no fixed travel schedule and they can be seen picking up passengers along the way. This fateful one had reportedly turned back to Nairobi after doing several kilometres of the journey, ostensibly to pick up passengers the driver had “forgotten”. The veteran driver, his colleagues said in confidence, does not drink and had been duly licensed to drive PSV buses. However, it is not clear whether he had been fatigued or fell asleep before the 4.30am accident. On Wednesday, Mr Francis Meja, the Director-General of the National Transport and Safety Authority, said the ill-fated bus had no licence to operate at night. “They will face the law and we will take them to court to answer charges,” he said. The early morning accident became one of the most horrendous incidents in recent months on the new highway, built in 2015 to shorten the distance for travellers between Kisumu and Nakuru, and open up the hinterlands of Kisumu and Kericho counties. But the road is poorly marked, has sharp bends and is less busy, giving public passenger transporters leeway to speed. This bus, carrying 61 people, also had loads of luggage. When we arrived at the scene, rescuers had pulled 48 bodies from the wreckage. One more body of a child was pulled out moments later and another man died in hospital in Fort Ternan where he had been rushed. In total, local Police Commander James Mugera told journalists 31 men, 12 women and seven children had died in the horror crash. Mr Mugera, who said his team arrived on time to help with the rescue mission — already started by local volunteers — said the injured were in critical condition and they had been rushed to various medical facilities in Kisumu and Kericho counties. By yesterday afternoon, the Kenya Red Cross Society had set up an information desk at the Kericho County Referral Hospital to help relatives find out whether or not their kin were safe. The Red Cross team was also charged with counselling those who came over to come to terms with the bitter reality. 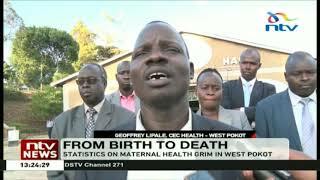 At the Kericho County Referral Hospital, members of the public formed long queues to enter the facility to check on the survivors. Some wailed uncontrollably, perhaps after learning of the fate of their relatives. Survivors claimed the bus driver had initially turned back to the Nairobi bus stage to pick up passengers he had “forgotten.” Four people travelled while standing, despite protestations from other passengers. The bus also carried luggage in the cabin, under its belly and on the roof rack, contributing to its instability. Some seats, survivors claimed, were also carrying luggage and passengers wore no seat belts. On Wednesday afternoon, Inspector-General of Police Joseph Boinnet said three bosses of the Sacco would be charged in court. April 7, 1963: A bus carrying passengers returning from a church meeting plunges into the Tiva River, Machakos, killing at least 72 people. November 14, 1989: 55 people are killed in an accident after a bus plunges into the Thwake River in Machakos. January 6, 1991: A bus slams into a tree on a railroad crossing on the outskirts of Murang’a killing 47 people. Another 40 are injured. July 12, 1992: 96 died in a road smash at Mikuyuni River, Machakos. January 30, 1993: 65 died in a railway accident at Ngai Ndethya. October 3, 1993: A multiple road accident involving a passenger bus, truck and numerous other vehicles on the Nakuru — Eldoret road kills 35 people and injures 41. January I, 1998: 56 killed in a road accident involving a Stage Coach Bus on the Nithi Bridge black spot. March 3, 2000: 75 were killed in a road accident involving a Shaggy and Akamba buses along the Kericho- Nakuru Road. April 20, 2000: 73 died in a road accident along in Mombasa — Nairobi Road. August 24, 2000: A tawfiq bus killed 40 people at the Nithi Bridge. January 31, 2009: Truck overturns at Sachang’wan in Molo. The truck bursts into ﬂames as locals scoop spilt fuel, killing more than 113 and injuring 200 others. June 2009: An oil tanker ﬁre kills four and injures 50 people at Kapokyek village near Kericho. The victims were siphoning fuel from the overturned tanker. February 27 2013: At least 35 people killed and 50 injured in bus accident at a bend near Mwingi town. 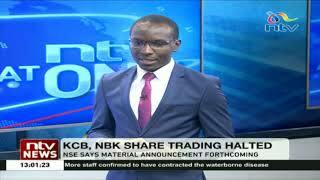 December 14, 2016: The death toll in the Naivasha tragedy rose to 43 after three more victims died while being treated in Nairobi. Dec 11 2017: A village in Vihiga County has been thrown into mourning after 19 people, eight of them relatives, died in an accident in neighbouring Bungoma. 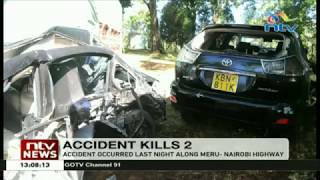 December 31, 2017: Thirty-six people perished in an accident on the Salgaa black spot at Migaa after a Nairobi-bound bus from Busia collided head-on with a truck at 3.30am. A row then ensued between passengers and the four conductors.